I hope you're all well, today's been very productive for me so I'm feeling good! I'm watching a Christmas music channel, so I'm definitely in the Blogmas mood right now! Today for Blogmas, I thought I'd make it more beauty orientated, as I haven't really done a beauty Blogmas post thus far. 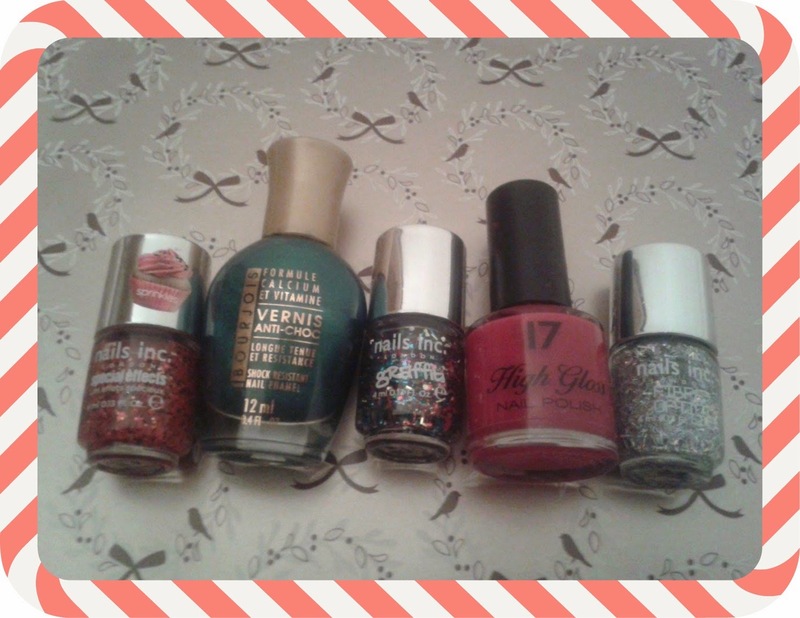 I do rather love nail polish, so I thought I'd select my most Christmassy ones, whether that be colours associated or sparkly! I hope you guys enjoy. 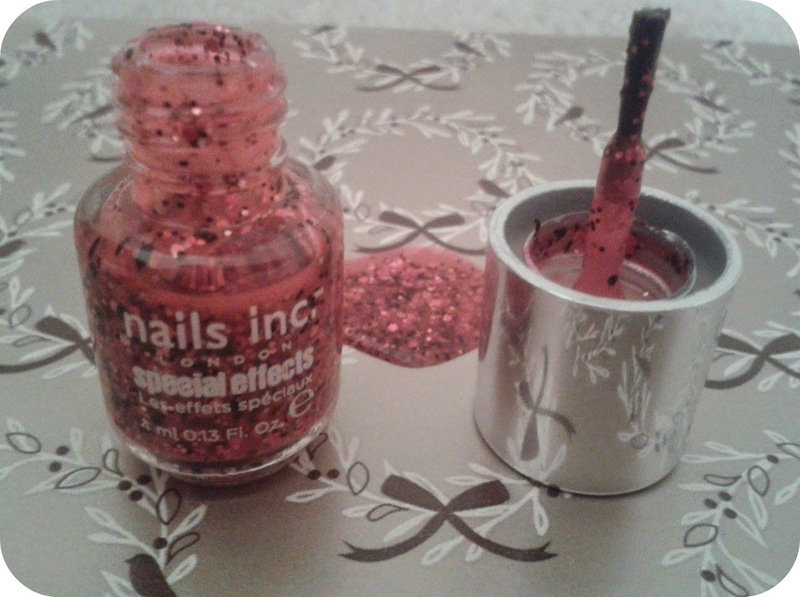 Last year for Christmas I got the Nails Inc. 5 polish 'Best Dressed Nails' set and this red glittery one is SO nice! 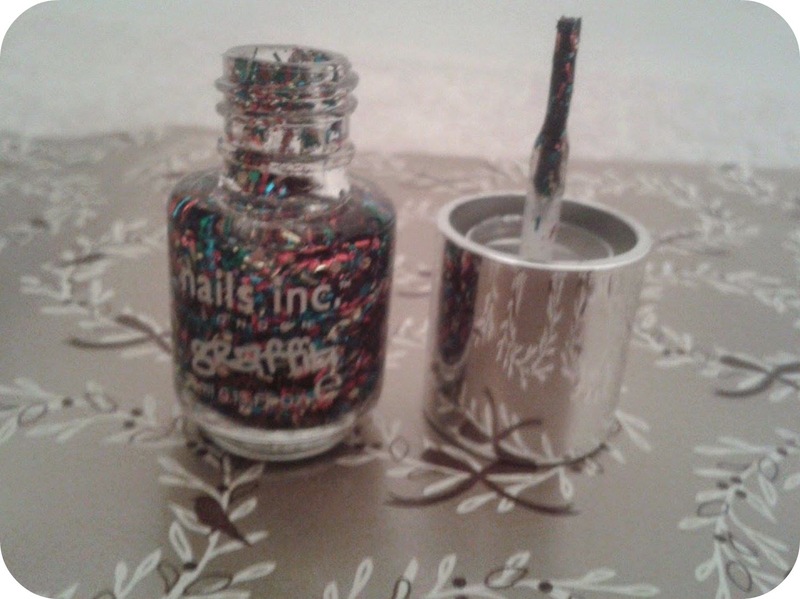 It's the Nails Inc. London 'Special Effects' polish. I currently have it on top of my other red polish (which is also to come) and it looks fab! Next up is this glorious green polish! 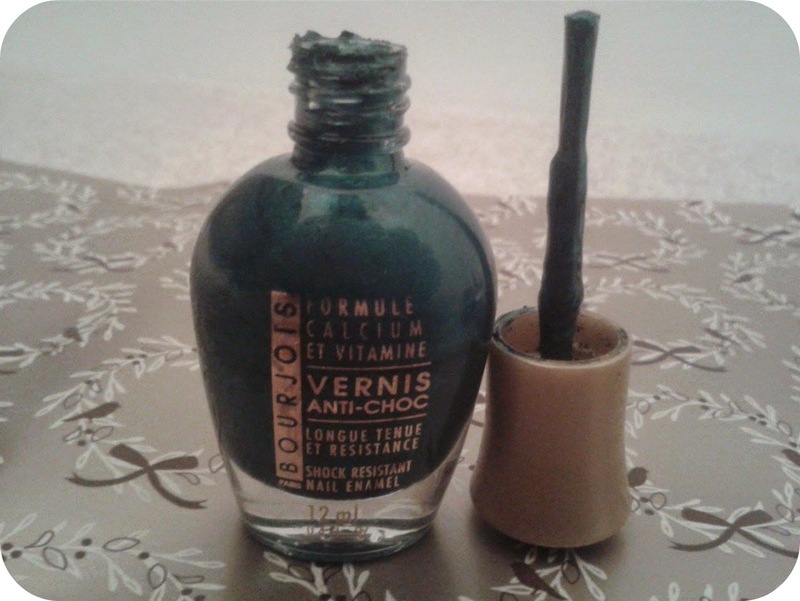 It is the Bourjois shock resistant nail enamel (#37) in this gorgeous colour. The nail wand is so thick which effortlessly glides across the nail with plenty of polish! This emerald shade also has a glittery tinge to it, and is a wonderful colour around Christmas time! Next up is another one of my lovely Nails Inc polishes! This one is once again very glittery, but it's SO cool as all the glitter is multicoloured! This polish in particular is called 'graffiti' and once again looks incredible over the top of a base colour! Over summer my essential polish was my mint green Essie one, however, as soon as summer ended it was time to switch things up, and what took it's place was this incredibly glamorous red! 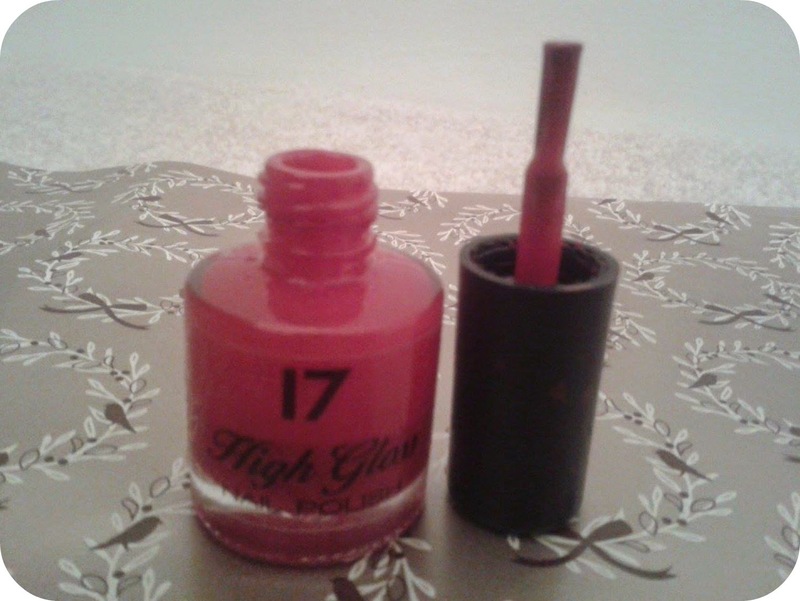 It is 17 High Gloss Nail Polish in the 'Risky Red' shade. It is looking so lush during the winter months and even matches my Christmas jumper! Great stuff. Okay I may have a (slight) obsession with my Nails Inc polishes at Christmas time! 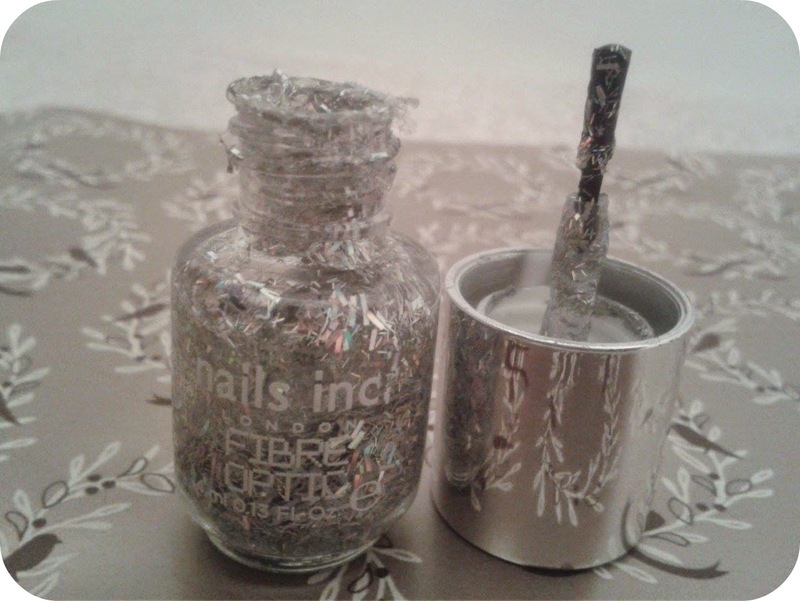 This one is called 'Fibre Optic' and is full of silver glittery loveliness! This shade is practically made for Christmas time, once again such a good addition to a base colour, or even a few coats on it's own! I really should have re-done my nails before taking this photo as they're SO chipped, but these are my current polishes! 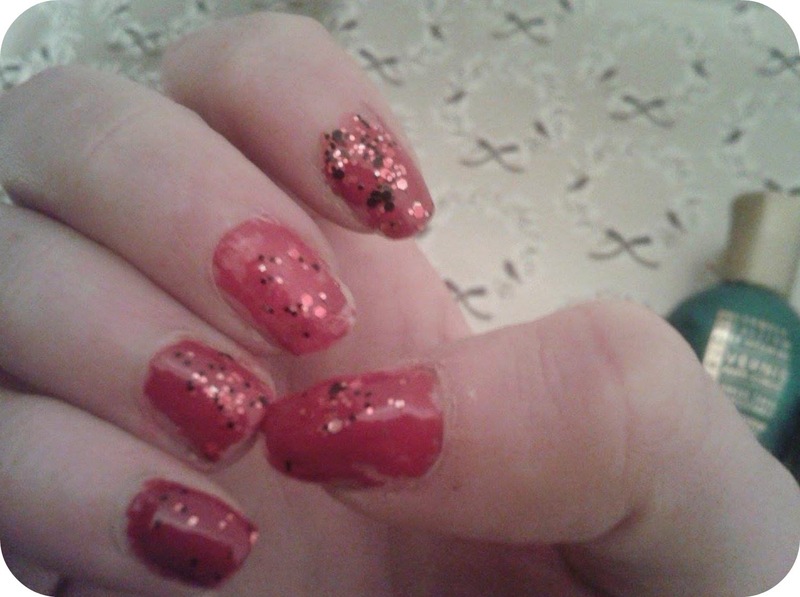 It's the Risky Red 17 one with a bit of Nails Inc 'Special Effect' polish on top. It's come off a lot though, so it will definitely need repainting tonight! I hope you guys enjoyed reading this, what are your favourite polishes at Christmas time? Aw thank you so much, lovelies! It really does doesn't it, I instantly thought tinsel as well! Aw thank you so much, I've repainted them now and they look soooo much nicer, but oh well what can you do! 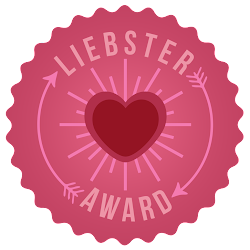 Thanks lovely <3 But aw thank you, it's actually so much fun! I love the glitter!! It looks very cute and festive! Aw thank you so much, Gail! I love the Nails Inc glitter ones, they are so so pretty! I know right, they are beautiful, any excuse to get them out this time of year! Love the packeging from the bourjois nailpolish. Aw thank you so much! It's lovely I know, very grandeur with the gold top part too! 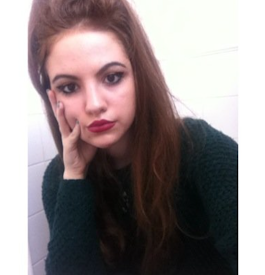 Aw it's really bugging me now, I wish to retake that photo haha but no worries I'm sure I'll move on. ;D But haha aw, chipped nails ftw!